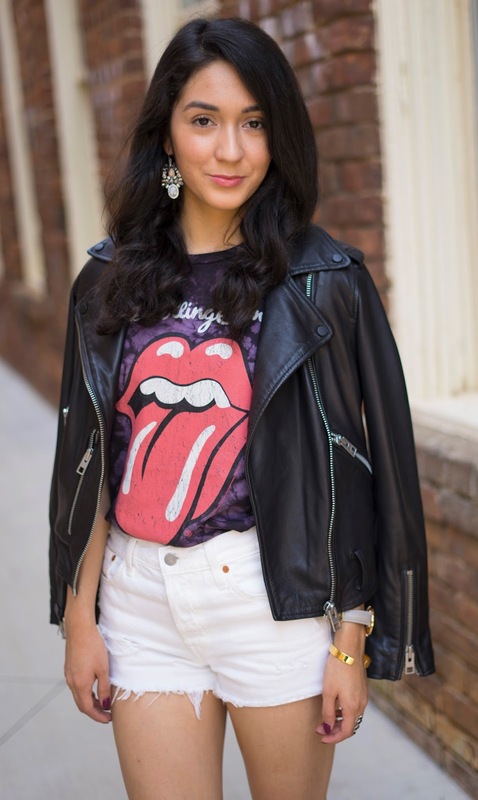 I love the contrast between a gorgeous piece of statement jewelry and a worn in band t-shirt! For months I've been wanting to try out this kind of look but I was missing the key piece, the jewelry!! So when I got these amazing earrings in my Rocksbox I knew what I had to do. The earrings are by a brand called Perry Street and they're perfect for dressing up any look! 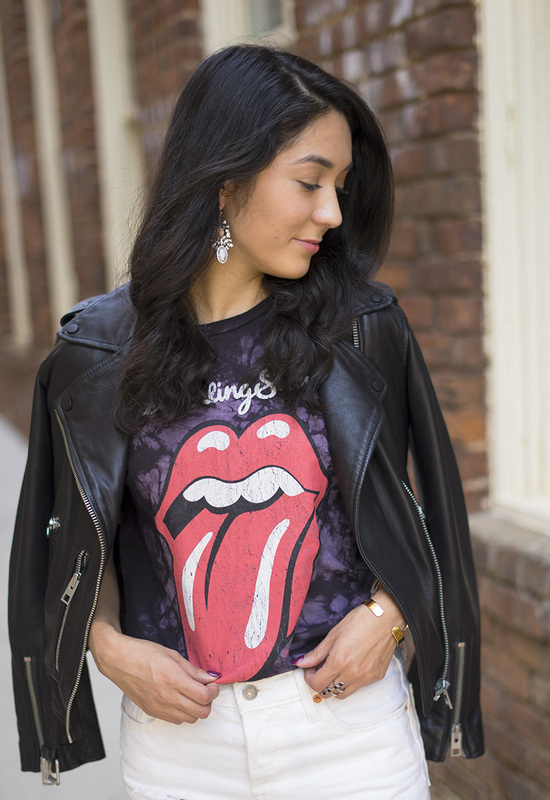 Since it's still warm here in NC I wore my rolling stones tee with a white pair of levi's cutoffs. I think my biker jacket gave it the finishing touch! That's a really cute jacket you got there babe! Love how you paired it with white shorts, really chic outfit.